While details on the reboot remain vague, the original Toxic Avenger told the knowingly ridiculous story of a mild-mannered janitor who developed superhuman size and strength after falling into a drum of toxic waste. The movie inspired three sequels, a TV cartoon, a Marvel comic and a stage musical production. Between its campy tone, ridiculous special effects and excessive violence, the original cult flick is a far cry from your modern-day superhero or monster movie, and it’ll be interesting to see how a company like Legendary pulls this off – whether they embrace the cheap, B-movie vibe of the original, or go for something a little glossier. For what it’s worth, the involvement of Kaufman and Herz will hopefully ensure that the reboot maintains some of the silly, anarchic spirit of the first film. And as for Blair, surely his various collaborations with Green Room and Blue Ruin helmsman Jeremy Saulnier have taught him a thing or two about violent genre filmmaking. 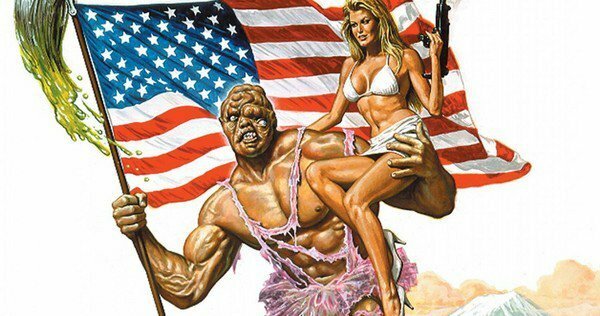 Either way, The Toxic Avenger‘s next outing has officially earned our curiosity.